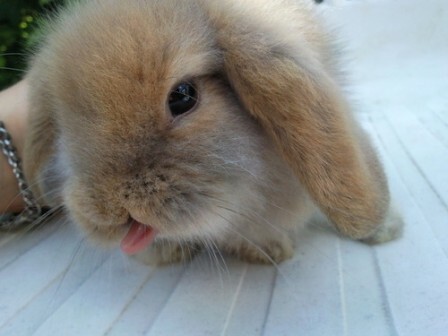 Even guineas agree that bunnies are cute, but what about when they stick out their tongues? 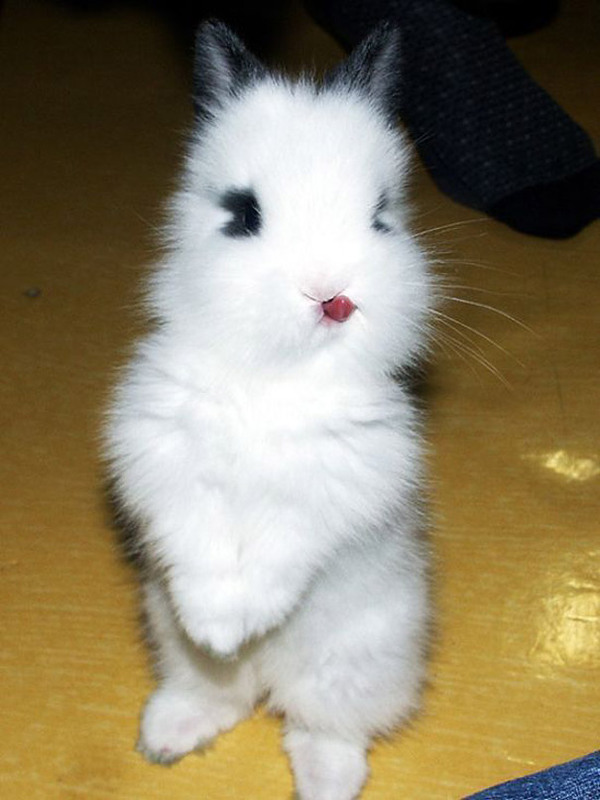 As bunnies are larger than guineas, their tongues are larger too. This makes it even more adorable when you see their tongues! 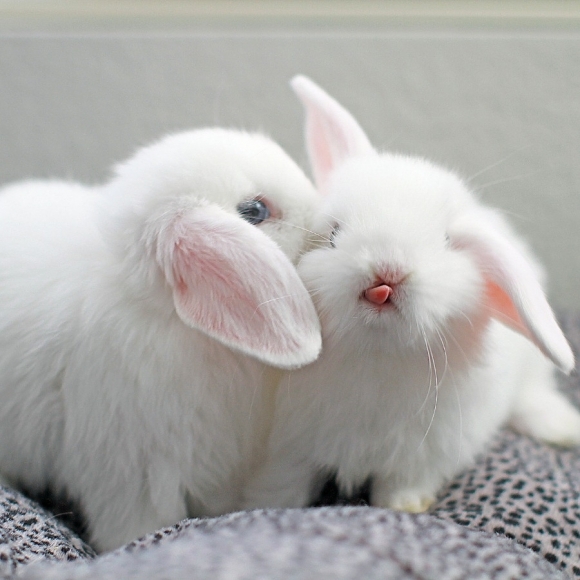 Hope you love these bunnies! 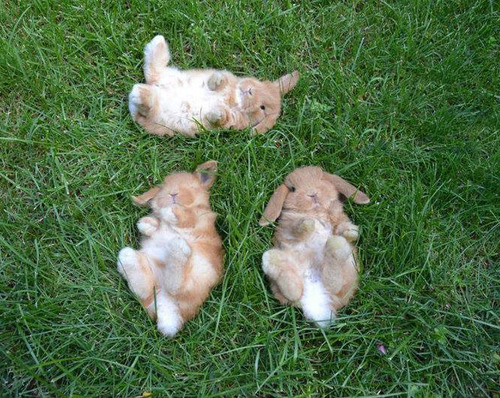 Bunnies are cute, but what about three bunnies on their backs? Sorry for the lack of posting, our human has been sick and unable to translate and type our posts! How dare she ignore us? 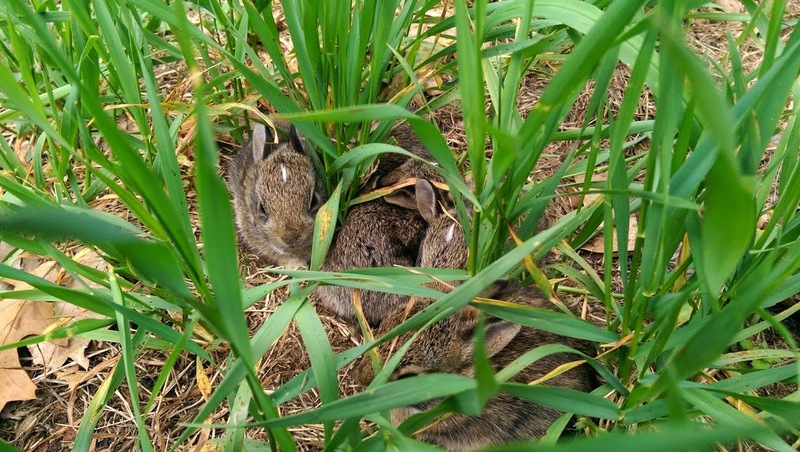 Baby cottontails! Their eyes opened only a couple days ago, and their mama has been very good with them so far. Can I be your freind? 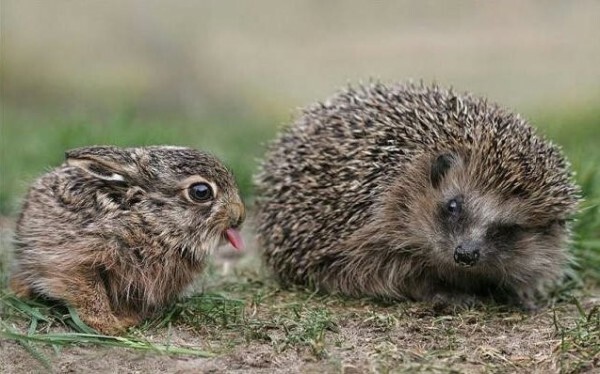 Not sure if this is extra-adorable or means they are extra likely to get eaten by predators. But for they moment they are adorable and we wish them the best of luck in staying safe! 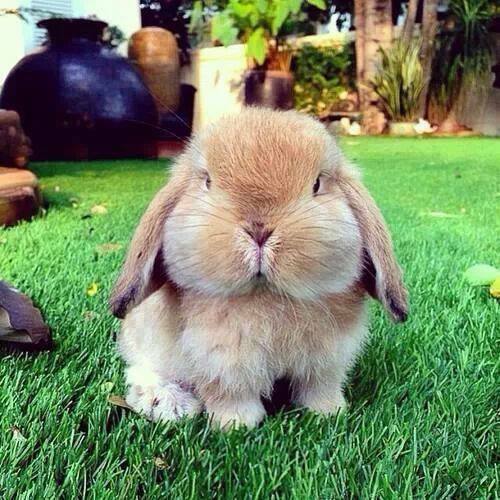 Just look at those cheeks! 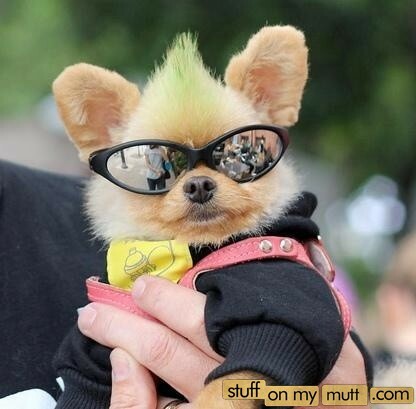 Who needs their Thursday dose of cute? Such fluff! 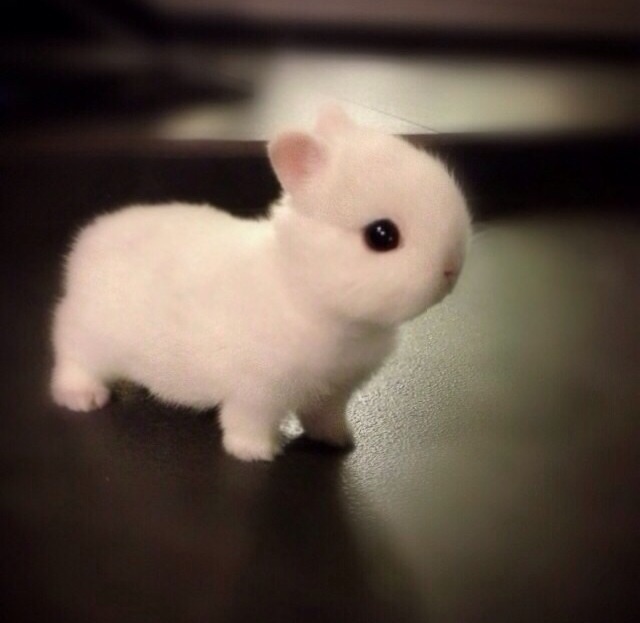 Those eyes, the tiny ears, the head to body size ratio! 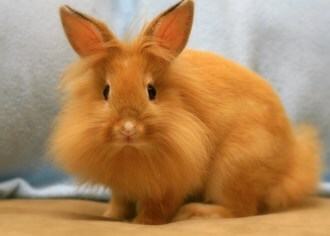 Lionhead rabbits fascinate me, so I decided to do some research on the breed. 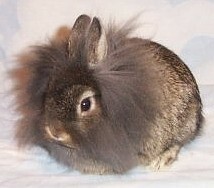 The Lionhead has a wool mane that surrounds its head and ears. Their fur is a bit wavy but otherwise soft and silky. 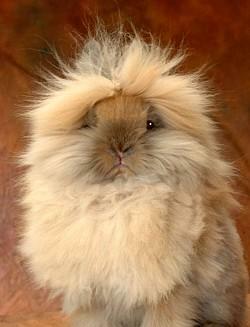 Given the wool, these rabbits do require regular grooming to prevent mats. 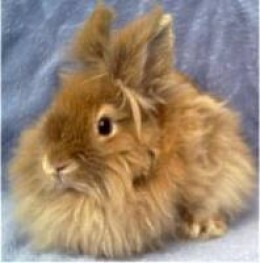 Lionheads come in a variety of colors and are a small breed with a compact body. 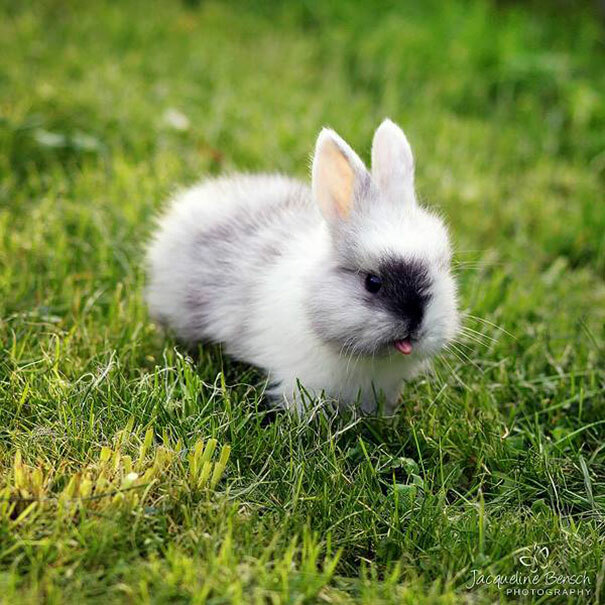 They have upright ears which should not exceed 3 inches in length. 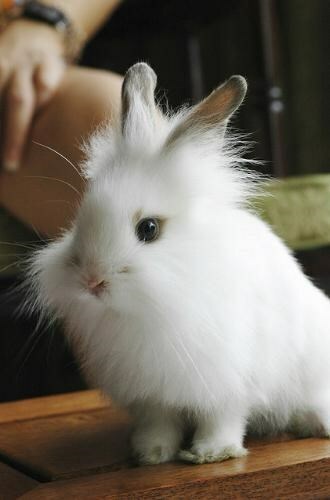 An adult rabbit of this breed usually weighs no more than 3 pounds 12 ounces. 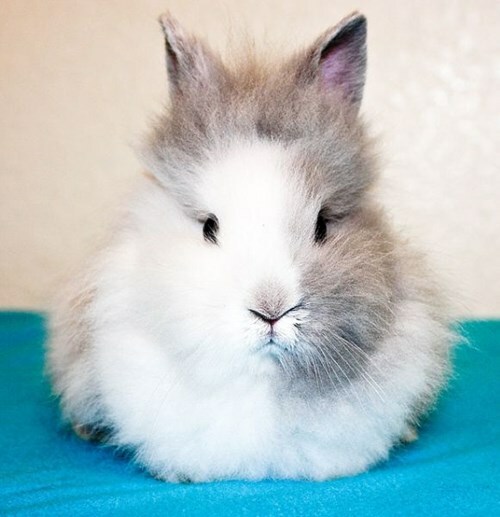 Lionheads have a temperament which is usually calm and friendly. Always remember that every animal is unique and breeding is only a small part of personality. Lifespan is around 7 to 9 years. The mane is a genetic mutation. 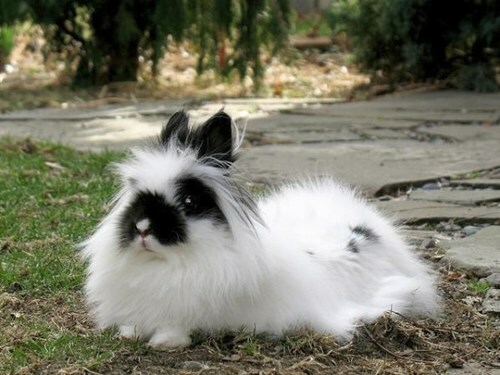 The exact origin of the breed is not known, but it is commonly thought that the mutation first occurred from a breeding in Belgium with the cross of a Swiss Fox and a Belgium Dwarf, then crossing those babies with other wool rabbits. This gene is not the same gene which produces wool in other wooled rabbit varieties however. 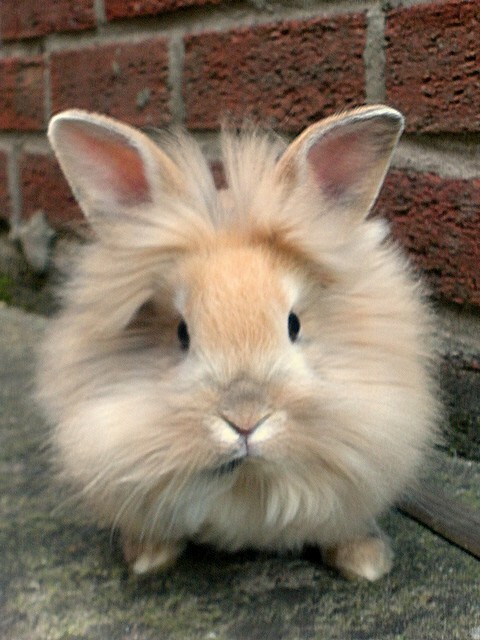 Lionhead rabbits can receive two copies of the gene and have a double mane, have one copy and have a single mane, or have no copies and therefore no mane. The single mane variety has wool only around its head, ears, chest, and maybe on its tail. 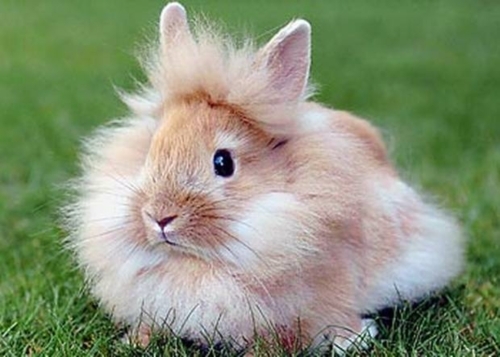 A double maned lionhead has more wool overall, more around the head with wool that can be on its hind legs, tail, and hips forming a “skirt.” Too much extra wool, or no wool at all, is not desirable for show rabbits but any of these varieties make great pets. 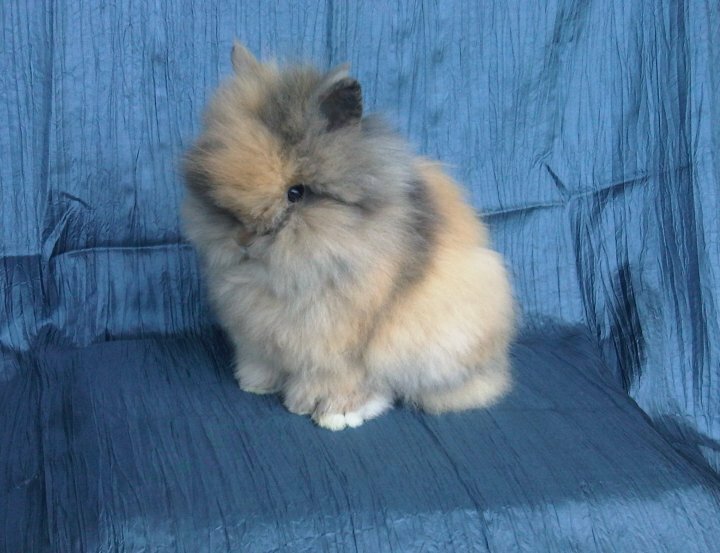 In the United States, the North American Lionhead Rabbit Club is a great organization to join if you have or breed this type of rabbit to discover more information. 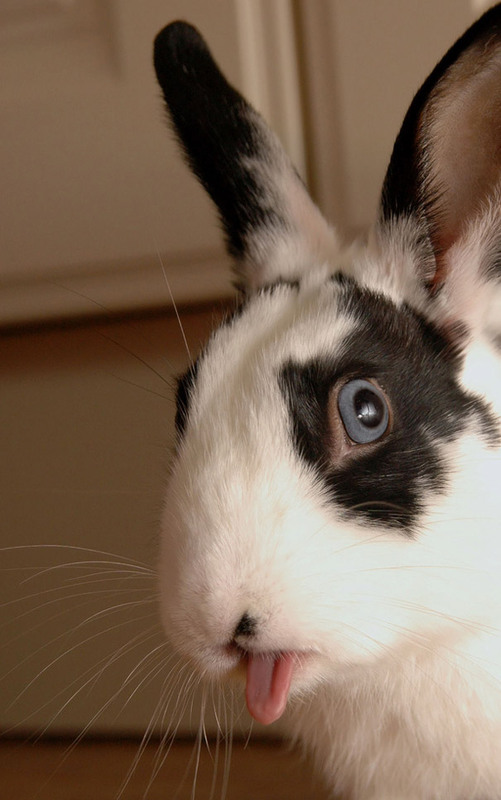 The American Rabbit Breeder’s Association does not yet recognize the breed, but the process to gain recognition is currently ongoing. Lionheads can be shown at ARBA shows currently as an exhibition breed. 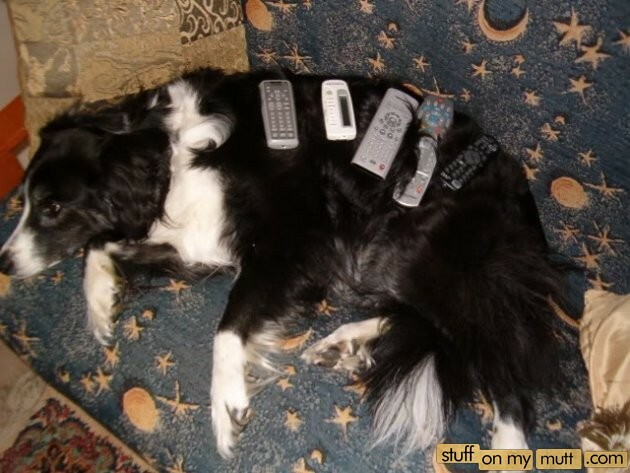 Is your pet very accommodating and will allow you to place objects on them somewhere? 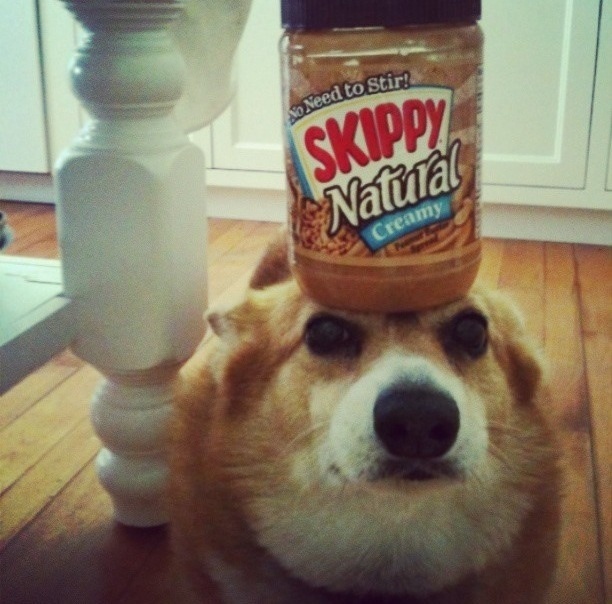 It seems like a new internet fad to place objects on your pets and share the images. Of course, some of these ideas (and photos) have been circulating the internet for years. It is fairly easy to train a dog to keep a treat or item on their head, it is a good way to teach patience and focus even when food is involved. 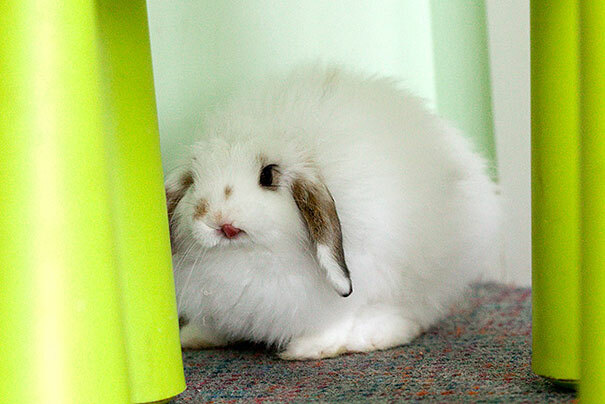 There was one rabbit which started this craze named Oolong. 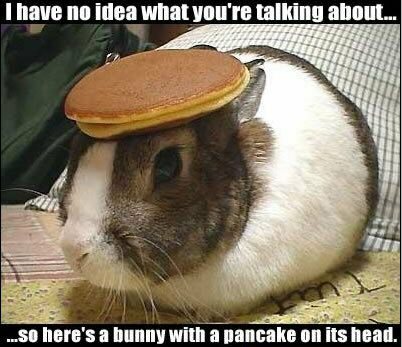 Many copy-ca… uh, copy-bunnies have popped up to show off their own pancake balancing skillz across the reaches of the internet. Now, for your viewing pleasure, there are sites which have a plethora of examples of these types of images all gathered together! 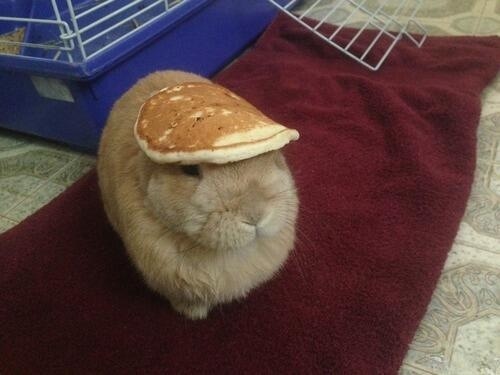 For more bunny balancing acts, check out the twitter Stuffonmyrabbit. For more dog images, check out stuffonmymutt.com. 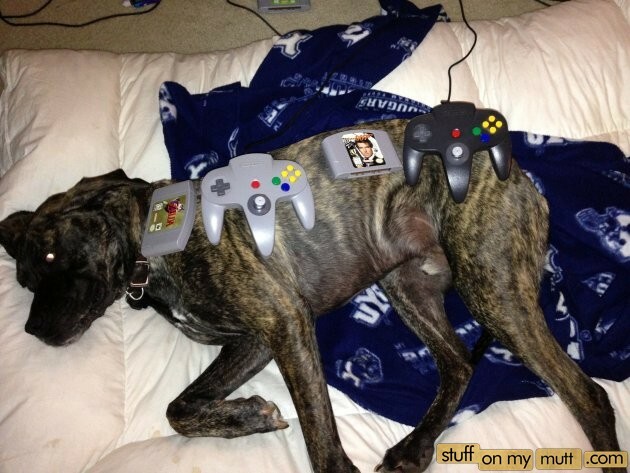 Stuffonmymutt has dogs sporting all kinds of items their owners managed to place on them including clothes. If you have some free time or need something to make you smile, I suggest checking out either of the above sites! 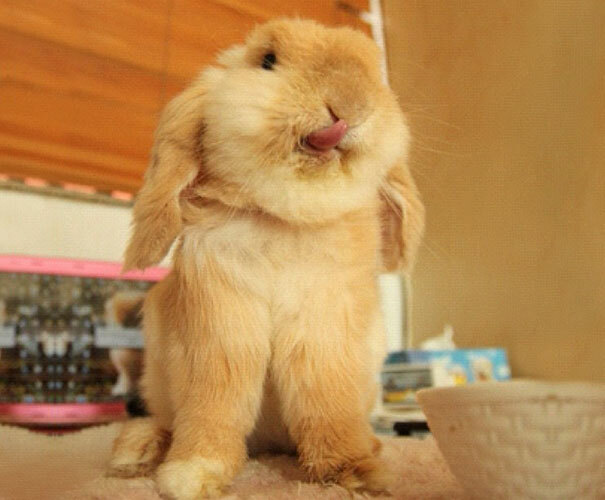 You should always give it a try, even if you are a tiny fuzzy bunny! His failure is so adorable, and I know that one day he will be able to jump up there. HyperVocal recently posted an article called “Let Mother Nature’s Most Pleasing Animal Noises Be Your Xanax.” While I am not sure I agree with their list, and some of the noises might be made in distress, there are some great noises on the list. I will present some of the videos and link to the article again at the end so you can see the entire list. 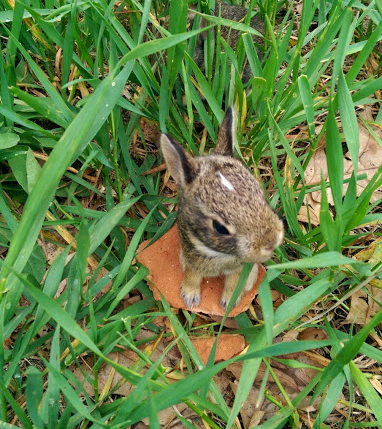 For the longest time I did not know bunnies made noises except when in great distress because the only time I heard one was the piercing scream of a wild rabbit as it tried to escape from a cat. This video just makes me smile! These noises are cute, but I know nothing of normal fox behavior and it looks like this is a display of submission. My final verdict is out on this one because of that but it is interesting to listen to. The owl is so happy to be having his head scratched! I posted this video before, but it is just too cute to not share again! I know that I am biased because I love guinea pigs but they make adorable noises especially when happy or demanding treats/attention. There are many more amazing and wonderful animal noises out there, but these are the clips I really enjoyed from the article. To see the rest of the videos visit http://hypervocal.com/vids/2013/pleasing-animal-noises/#. 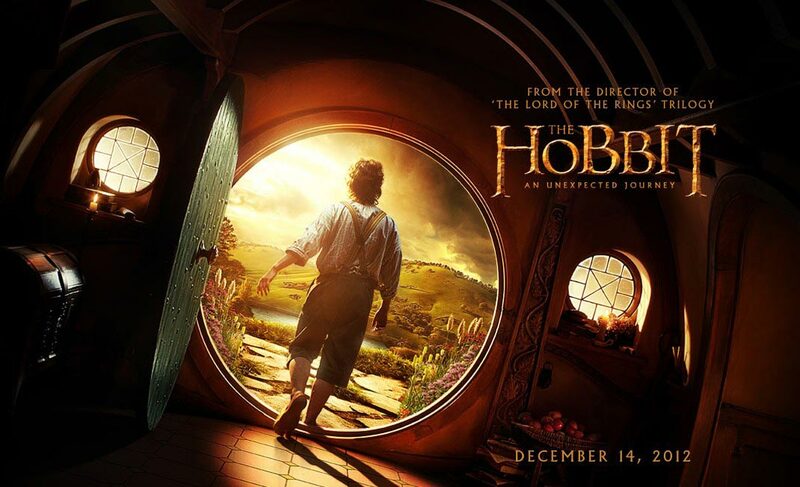 The Hobbit is now out in theatres and it is an amazing movie! A little long if you are not a tolkien lover, because they split the story into three movies. But if you are like me and always wanted more out of the Lord of the Rings movies, you will love this one! This post comes with a little spoiler alert if you have not seen any of the trailers for the movie, or the movie itself. 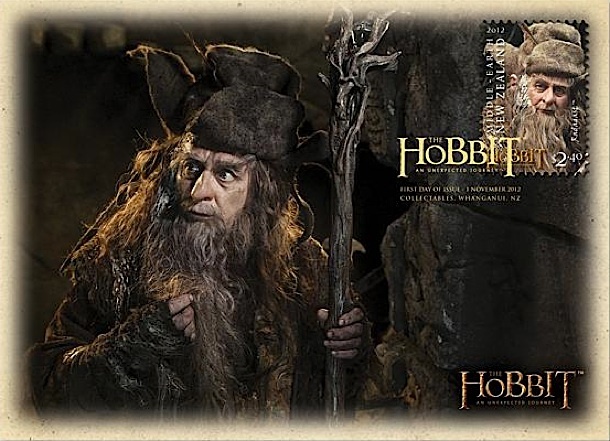 Radagast the Brown, a wizard like Gandalf, has a small part in the movie! He is merely referenced in the Hobbit, and has return appearance in LOTR (not in the movie version). Radagast’s job was to take care of nature. I am not too fond of the make up job that he has in the movie (mainly the bird poop running down his face). But in the trailer you get a glimpse of something not mentioned in the books, but is a wonderful and fitting addition to Radagast’s character: a sled pulled by giant rabbits! Rhosgobel is the name of the place where Radagast lives – so it is fitting to refer to the rabbits as being from there. His home is described as being fenced in, and lying on the western edge of Mirkwood. You can read a bit more about Rhosgobel at tolkiengateway.net. 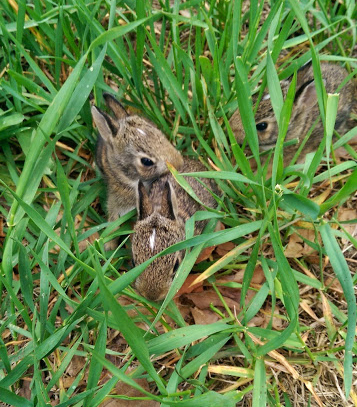 I will update this post once better pictures of the rabbits come out.